November 25, 1878, Frederick Douglass gave "Self-Made Men" speech to a segregated audience in the main courtroom of this courthouse. 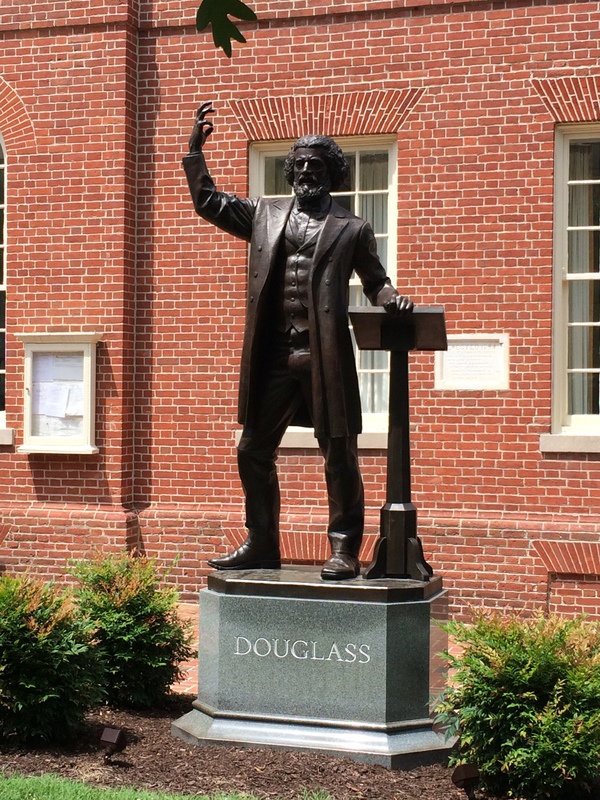 The statue of Douglass on the courthouse lawn, created by Jay Hall Carpenter and erected in 2011, portrays Douglass at the podium delivering this speech. On Maryland's Frederick Douglass Driving Tour.